In Alberta, having auto insurance is required by law. 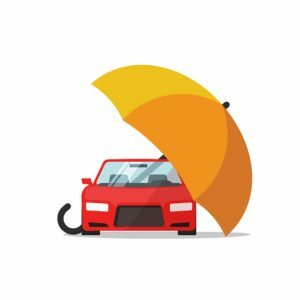 The minimum amount of insurance is called Public Liability and Property Damage insurance, although many drivers opt for a more comprehensive coverage package. It is your duty as a driver to ensure that any vehicle you drive is properly insured. Whether you simply forgot to renew your insurance for the year, or have never had insurance, there are serious consequences involved. Read on to learn more about what happens if you’re caught without auto insurance for your vehicle. Normally, if you are involved in a motor vehicle accident (MVA), either your insurance or the other driver’s insurance takes care of any repair, medical or other expenses. As an uninsured driver, if you’re involved in an MVA, you won’t have any coverage for yourself and will have to pay for any expenses out of pocket. What’s worse, if you’re found to be at fault, you will be also be held personally responsible for all damages suffered by the other party. The MVAC was set up to make sure that other drivers and insurance companies are compensated in the event of an accident with an uninsured driver. If the uninsured driver can’t afford a lawyer, the MVAC will act on their behalf to ensure that all funds are collected. Even bankruptcy does not erase any debt owed from a settlement, so there is essentially no way out for an uninsured driver that is found to be at fault in an MVA. If you’re caught driving without insurance, fines can range between $2500 – $11,500, depending on a number of factors. If you’re caught a second time within one year, there is a mandatory jail term. Depending on the province, license suspension or vehicle impoundment is also not uncommon. ARC Insurance will work with you to get you the right coverage at a competitive price. Give us a call today!